OY! which stands for 'Organic Young' is a line of skin care for young skin by Green People. This is the first product from their line I have tried, and as its so good I will soon be trying their other products. I first received this moisturiser as a sample from naturisimo.com. I applied it over my usual moisturiser to protect my skin from the sun, due to increased photosensitivity due to Retin - a use. I expected my skin to go oily and my makeup to just slide off in the heat and humidity as i already have oily skin and SPF's in the past have just exasperated the problem, whether they are natural or not. 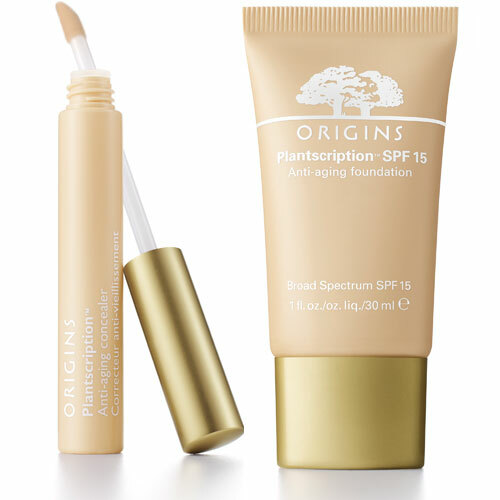 However as soon as i put the moisturiser on, it left a very comfortable moisturised but matt finish to my skin, and it did not leave a purple tinge to my olive Asian skin tone, which i usually got with SPF's. My Lily Lolo mineral makeup went on perfectly on top of the SPF and almost felt like it was helping the makeup stick to my face, but in a good way. On an average day, my skin will start to go oily within an hour, and I would have to retouch as soon as I get into uni, but this time when i had to touch up there was no ugly oily mirror like shine, but more of a moisturised kind of sheen to my face. Even a few hours after that it was great and I have major oil issues! It seemed to good to be true, so when my sample finished I wanted to check the price, ingredients etc to see the damage... I was pleasantly surprised!! Not only was this an SPF moisturiser thats great for oily skin(rare!!) and sensitive skin type, but its also an tan accelerator increasing tanning by 25%, fights spots, UVA/UVB protection and feeds skin omega 3+6 . On the ingredients side of things it was free from the major nasties; sodiun laryl/laureth sulfate,parabens,lanolin,phthalates,propylene glycol,alcohol(ethyl,ehtanol),harsh foaming agents , irritating emulsifiers, synthetic fragrance,silicone,PABA sunscreen,colourants,PEGs, petrochemicals,urea,DEA, or TEA. And is 82% certified Organic, not 100% but still good enough!. I think the spot fighting and oily balancing properties may be due to the aloe vera and green tea amongst the ingredients. This product is fairly traded too.....And for you veggies and vegans out there.. its been certified by the vegetarian and vegan society! The price is good for such a multi-purpose product, its £10.50 from naturisimo.com for a50ml bottle, a little goes a long way for me as i use my normal Jason ester C moisturiser underneath.